Dress form size: 8ins tall (20cms tall) approx. A Vintage Girl Vintage Dress Form - Baltic Wood. 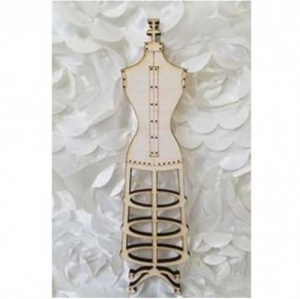 This Baltic Birch dress form is custom laser cut and etched and is the perfect size for any Steampunk or vintage project.